October is universally recognised as National Breast Cancer Awareness Month and everybody uses this opportunity to wear their favourite colour – PINK! Once again AAPT are getting on board with Play for a Cure, and each state (Vic, NSW and Qld) are getting into the spirit and conducting a Pink Day In! AAPT are encouraging staff to get their best pink gear out, with the best dressed pink member winning a $50 Myer voucher. Each state are running an event where money raised will be donated to Breast cancer research. Brisbane Panthers Softball Club are having a Pink Panther Day. Team players will wear pink socks, raising awareness of Breast Cancer, and conduct an all day BBQ at Downey Park with funds raised, like AAPT’s Pink Day In, going to Breast cancer research. Whilst the cure has not yet been found – there is always hope! 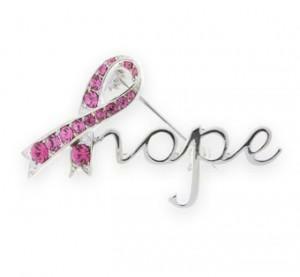 Help keep the hope of a cure alive and donate to by clicking on this link. All donations $2 and over are tax deductible. This entry was posted on Monday, October 10th, 2011 at 12:37 pm and is filed under 2011, Previous Events. You can follow any responses to this entry through the RSS 2.0 feed. You can leave a response, or trackback from your own site.